Who Does the Best Michael Jackson? Justin Timberlake, the Jackson Hologram, Usher or Talent Show Kid? Of course, it wasn’t really the King of Pop boogeying across the stage in a gold jacket and red pants, but kind of a Franken-Jackson — a hologram created by grafting images of his head onto a dance impersonator’s body, which were smoothed out by a computer. Meanwhile, at a small high school talent show in Turlock, California, a junior named Brett Nichols nabbed first place for his spot-on impersonation of MJ dancing to “Billie Jean” in the school gym. Nichols’ hip-thrusting and moonwalking is so impressive, he received a congratulatory tweet from the Jackson estate and his video has earned more than 7 million page views, according to the Turlock City News. And then there are the dueling performances of longtime pop rivals Usher and Justin Timberlake, who both recently danced to Jackson’s newly released single “Love Never Felt So Good” (from the posthumous Xscape album out now). Timberlake stars in the music video, but Usher did a pretty flawless dance impersonation at the iHeartRadio Music Awards on May 1. So watch the videos below and tell us, who do you think does the best Michael Jackson impersonation? Author TriPlayPosted on May 23, 2014 October 1, 2014 Categories General, Viral Video AlertTags Justin Timberlake, Michael Jackson, Talent Show Kid, Usher, viral video1 Comment on Who Does the Best Michael Jackson? Justin Timberlake, the Jackson Hologram, Usher or Talent Show Kid? Think you know your ’90s hit songs? We’ll see about that. In our Viral Video Alert choice for April, two Australian singer-comedians perform 60 songs from the ’80s and ’90s in six minutes with just an acoustic guitar. How many can you correctly name? So test yourself and then check out the full list of song titles and their singers after the video. 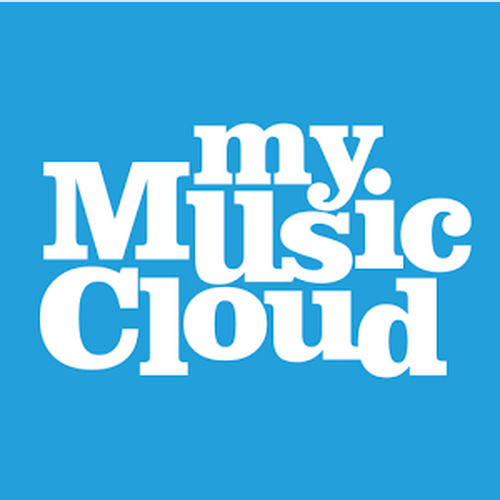 We hope these yesteryear hits evoke some happy flannel and spandex memories for you, like they did for us, and if you like what you hear, you can always upload your favorite CDs, mp3s and more songs to our MyMusicCloud store-and-play service for free. MyMusicCloud Viral Video Alert: Is ‘Goose MCs’ the New ‘What the Fox Say’? What do heroic Hudson-River pilot “Sully” Sullenberger and a nerdy white rapper from Los Angeles have in common? “Goose MCS all up IN MY ENGINES,” according to this hilarious new music video featuring a ballet-dancing pilot, Riverdancing geese, and, of course, lots of dope rhymes. Believe it or not, Wednesday, Jan. 15, marked the fifth anniversary of Captain Sully’s safe landing in New York’s Hudson River after his U.S. Airways flight was ruthlessly attacked by a flock of wayward water fowl. And like most rappers from the mean streets of L.A., singer and comedian Zach Sherwin could relate. “Sometimes with all the jealous haters trying to bring me down, I feel like the Chesley Sullenberger of this rap game …” he says. Author TriPlayPosted on January 17, 2014 October 1, 2014 Categories General, Viral Video AlertTags fun, rap, the fox, viral video, ylvisLeave a comment on MyMusicCloud Viral Video Alert: Is ‘Goose MCs’ the New ‘What the Fox Say’? Using over 8,500 lights and roughly 1,066 channels of computer animation, the Edwards family home brings life to the goofy song with lighted tombstones, ghosts and a moving LED mouth that “sings” the famed lyrics, “Dog goes woof, cat goes meow, bird goes tweet, mouse goes squeak …” No music is broadcast outside but viewers can laugh along to the perfectly synchronized concert by tuning their cars’ FM radios to a station to “hear the lights” sing. It’s just another win for “The Fox,” the dance music spoof by the Norwegian Ylvis brothers that has become a worldwide viral video sensation. The song is so popular that costume stores are reportedly selling out of adult fox costumes this season. Picture “Breaking Bad”’s Bryan Cranston roller boogeying around a disco dance floor. Jeff Bridges getting down in a stairwell. Matt Damon shimmying like a gameshow contestant in a glass case filled with flying confetti. If any of these images make you grin even a little, you’re in luck. But when the funky robots from Daft Punk wouldn’t appear on his Comedy Central show, “The Stephen Colbert Report,” the be-suited Colbert strutted out of the studio and joined his various celeb friends for dancing cameos instead. Bridges, Cranston and Damon are just a few of the stars captured in the music video dancing to “Get Lucky,” along with Hugh Laurie, Jimmy Fallon, and the New York City Rockettes. Check out Colbert’s celeb posse and admire his carefree twirling at the same time in StePhest Colbchella ‘013 – “Daft Punk’d” ….